TrackFotos – TrackFotos, where Frank Panucci's Equine Photography comes to life. TrackFotos, where Frank Panucci's Equine Photography comes to life. Welcome to Trackfotos.com. Home site for photojournalist Frank Panucci. This site is dedicated to horse fans, racing fans and all the hard working, wonderful people that make horse racing. My photos will bring you behind the scenes at America’s Number One racing venue, Saratoga Race Course. 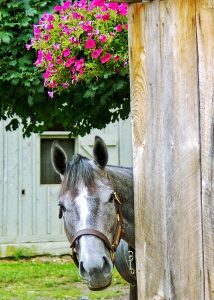 I capture the beauty of the Thoroughbred and their interaction with the people whom care for them daily. I’ll have some of the top horses, trainers and jockeys in their everyday environment. I have been around horse racing and its’ environment for over 40 years and have witness live two Triple Crown Belmont victories. I’ve been lucky to be around great trainers like Bill Mott, Todd Pletcher, Claude “Shug” McGaughey, D. Wayne Lukas and the late greats Woody Stephens, Laz Barrera and Allen Jerkens. I have seen up close such great horses as Affirmed, John Henry, Ruffian, Forgeo, Easy Goer, and latter day stars Funny Cide, Street Sense, Point Given, Rags To Riches, Summer Bird, Wise Dan, Princess of Sylmar, Rachel Alexandra, recent Triple Crown winner American Pharoah, Frosted, Songbird and in 2017, Kentucky Derby winner Always Dreaming, Belmont winner Tapwrit and Travers winner West Coast. My photographs have been displayed at the Saratoga Center for Art (150th Anniversary of the Saratoga Racetrack) and in print, television and on web sites for the New York Racing Association (NYRA.com), CBS Sports, Bleecher Reports, Americas Best Racing, Capital District Off Track Betting, Racing Dudes.com, Hudson Valley Magazine, Saratoga County Sports, WTEN television, & Albany Downtown digest. I have been awarded “Best” in show for juried photo contests. Recently I was selected to be in the Top 20 out of 1000’s of entries in the inaugural, prestigious Coady International Horse Racing Awards. The contest was judged by an all-star panel of photojournalist experts.